This was an animated short I contributed to as a freelancer in 2007; and after an almost 2-year hiatus, wrapped up in late-2009. The two characters were modeled by Shon Mitchell, and animations were done by our client, Jonali Bhattacharyya. This was a fun project that involved rigging two bipeds with the added twist of making them capable of wielding chopsticks. Jonali was really great to work with, and communicated her needs well. I’ll go into some detail about the Maya rigs created and the accompanying MEL tools used by the animator. The Weight Tool is a Python script designed to make your skinning life easier. It streamlines the process of manpulating skin weights on the vertex level with a neat UI. I came up with the idea of making this tool after skinning some rigs in 3dsMax. 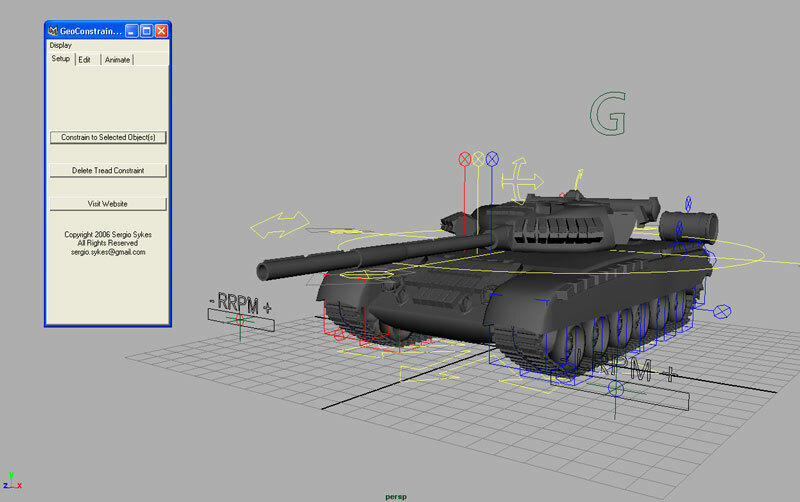 The result is a script that works very similar to 3dsMax’s built-in Weight Tool, but in Maya now! Like any python script, this will only work in Maya 8.5 or later regardless of OS (tested only on Windows). To use the script in Maya, simply copy all the scripts from the archive into your PYTHONPATH. Once copied, restart Maya and type “import WeightToolInterface” in the python command line. To start using the tool after importing, type “WeightToolInterface.draw()” in the same commandline/scriptEditor. *Note that you can find your PYTHONPATH by opening your Maya.env file with a text editor (usu. located in …/My Documents/maya/versionNo/Maya.env). If PYTHONPATH is defined, simply copy the scripts and continue from there.If PYTHONPATH is NOT defined, type in the Maya.env, “PYTHONPATH=C:/your/script/path/here”, replacing C:/your/script/path/here with a real system path you wish to install Python scripts to. When editing Maya.env, be sure to restart Maya to apply any changes. Feel free to post any feedback!